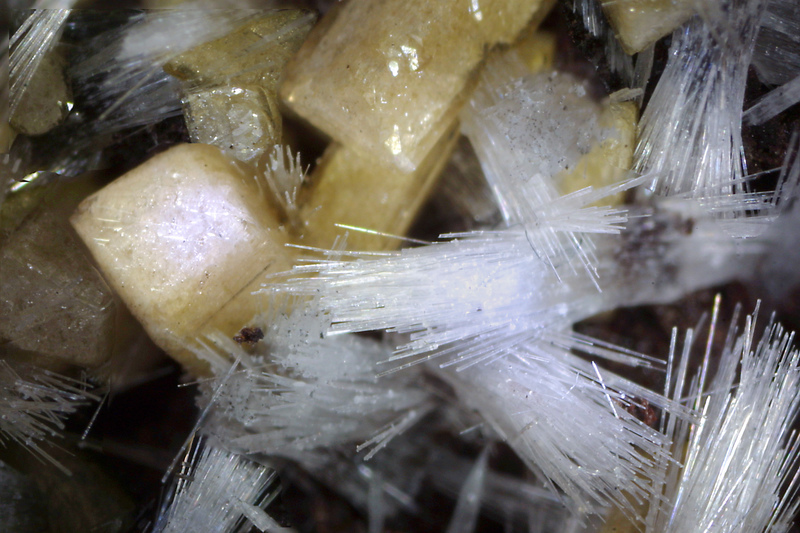 Bultfonteinite: Mineral information, data and localities. 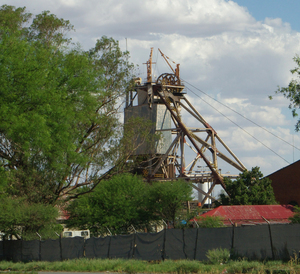 or 1904 on the 480-foot level of the Bultfontein mine at Kimberley. Named in 1932 by John Parry, Alpheus Fuller Williams, and Frederick Eugene Wright for the type locality at Bultfontein, Kimberly, Free State Province, South Africa. 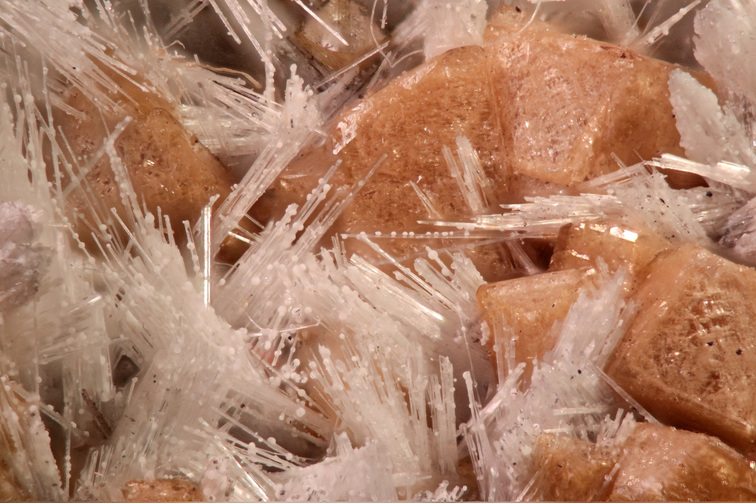 This page provides mineralogical data about Bultfonteinite. Olmiite 105 photos of Bultfonteinite associated with Olmiite on mindat.org. Calcite 34 photos of Bultfonteinite associated with Calcite on mindat.org. Hydroxyapophyllite-(K) 23 photos of Bultfonteinite associated with Hydroxyapophyllite-(K) on mindat.org. Oyelite 17 photos of Bultfonteinite associated with Oyelite on mindat.org. Poldervaartite 10 photos of Bultfonteinite associated with Poldervaartite on mindat.org. Manganite 7 photos of Bultfonteinite associated with Manganite on mindat.org. Ettringite 5 photos of Bultfonteinite associated with Ettringite on mindat.org. Quartz 5 photos of Bultfonteinite associated with Quartz on mindat.org. Celestine 3 photos of Bultfonteinite associated with Celestine on mindat.org. Hausmannite 2 photos of Bultfonteinite associated with Hausmannite on mindat.org. McIver, Edward J. (1963), The structure of bultfonteinite, Ca4Si3O10F2H6: Acta Crystallographica: 16: 551-558. The following Bultfonteinite specimens are currently listed for sale on minfind.com. Mineralogical Record: 27: 303.; Mineralogical Journal Vol. 14 (1989) , No. 7 pp 299-302; Henmi, C., & Kusachi, I. (1992). Clinotobermorite, Ca5Si6 (O, OH) 18· 5H2O, a new mineral from Fuka, Okayama Prefecture, Japan. Mineralogical Magazine, 56(3), 353-358.; KUSACHI, I., & HENMI, C. (1991). 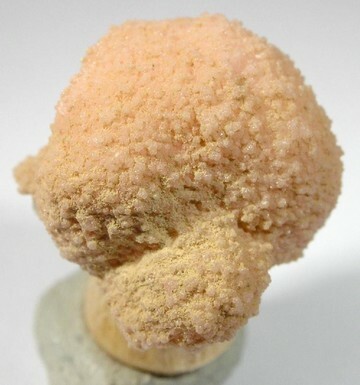 Sillenite from Fuka, Okayama prefecture, Japan. Mineralogical Journal, 15(8), 343-348.; Ando, T., Kanayama, A., Kobayashi, S., Miyawaki, R., Kishi, S., Tanabe, M., & Kusachi, I. (2015). Roweite from the Fuka mine, Okayama Prefecture, Japan. Journal of Mineralogical and Petrological Sciences, 110(1), 29-34. Koneva A.A., Uschapovskaya Z.F. (1991) On harkerite and bultfonteinite from skarns of Tazheran alkaline massif, - Geologiya i Geofizika, 2, p.74-78. Lapis (2004): 29(9):12; Bonazzi, P., Bindi, L., Medenbach, O., Pagano, R., Lampronti, Menchetti, S. (2007): Olmiite, CaMn[SiO3(OH)](OH), the Mn-dominant analogue of poldervaartite, a new mineral species from Kalahari manganese fields (Republic of South Africa), Mineralogical Magazine, 71, 193-291. Murdoch, Joseph (1954) Scawtite and bultfonteinite from Crestmore, California. (abstract): Geological Society of America Bulletin: 65: 1347-1348; Murdoch, Joseph (1955b) Bultfonteinite from Crestmore, California: American Mineralogist: 40: 900-906.; Murdoch, Joseph (1955a) Scawtite from Crestmore, California. American Mineralogist: 40: 505-509.; Harker, R.I. (1965) Scawtite and its synthesis. Mineralogical Magazine, vol. 34, n° 268, 232-236 (referring to Murdoch, 1955a). ; Murdoch, Joseph and Webb, Robert W. (1966) Minerals of California, Centennial Volume (1866-1966): California Division Mines & Geology Bulletin 189: 115.; Pemberton, H. Earl (1983), Minerals of California; Van Nostrand Reinhold Press: 477.